What's the best way to plan and coordinate things to do with your friends, especially long term lists of what you'd like to do to together? Unbucket (www.unbucket.com) thinks it has one way, which is to create online, collaborative lists for planning out events with friends. We spoke with Elliot Darvick, one of the firm's co-founders, on what the Los Angeles startup is all about. Elliot Darvick: Unbucket is a platform that enables people to enable planning of their future experiences through collaborative lists. For example, one of my favorite lists is "Adventures before leaving DC", which was a way for one of our users to organize the things they wanted to do in DC before moving to California. You can use that list to plan events, the list of restaurants you wanted to visit, and things you want to do in the city. Unbucket can be used by couples, family members, and close friends, replacing something they might have kept in Google documents or maybe just in their heads. We believed that there as a better place for that than keeping it in your head, so we set out to create Unbucket. At a high level, we created the service because we firmly believe that technology should bring us closer to your friends, rather than distract you from them. Our goal is to facilitate sharing your life, in real life. 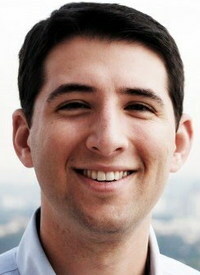 Elliot Darvick: Currently, Unbucket is myself and my co-founder, Brian Berman. We both grew up in Detroit, met at Washington University, and both ended up in Los Angeles. Brian has a deep background in programming and also a law degree from UCLA. He's got that rare combination of programming and law. My background is I worked for consumer websites for two years, and digital agencies for two years, and I have a strong background in media. I've always had a fascination in using technology to bring people closer together. How did the whole idea for Unbucket come about? Elliot Darvick: It started as a mother's day gift, actually. My mom really doesn't like presents, but I thought a great gift would be to plan out things we could do together over the course of a year. She lives in Detroit, and I live in Los Angeles. It dawned on me that the gift of intention was something really beautiful to share. I wanted to figure out how to enable that gift of intention between other people, and the people they care about most, which is why we started Unbucket. Elliot Darvick: We launched our private beta in June, and we've been building momentum since then. We're still in closed beta, but we're live and learning every day from our user base on how to make it better. Have you thought through the business model yet? Elliot Darvick: Long term, we really want to connect users with businesses that can fulfill those intentions. For all of the online advertising out there, there are few places you can advertise against a stated interest, which we think is the most valuable signal of all. Current solutions try to approximate your intent, using behavioral signals, social signals, and so on. Instead, what we'll be doing is building an advertising marketplace on stated intention. The way that works, is a user wants to do X, we'll find a business to fulfill that intention. How are you funded so far? Elliot Darvick: to date, we've been bootstrapped. We've been fortunate, however, that we have very complimentary skill sets. Brian has a very deep programming background, I've been doing the front end work myself, so we've been able to keep our cash burn very low. At this point we're beginning to seek out potential seed investments, something that we'll be exploring over the next couple of months. What's the biggest thing you've learned so far about the startup process? Elliot Darvick: When you go through the process, you make certain assumptions, and usually you go off your intuition and your gut. But, the minute you put something in a user's hands, you find out lots of your assumptions are incorrect. We're learning as quickly as possible. I feel strongly about listing to people who are using what you've built. One early thing we grappled with, is though people would feel very strongly about connecting with closest friends and creating lists with others, but we found that some of the people just wanted to created lists for themselves, so we enabled that. We found that it's best not to get in the way, and listening to your users, which is important. What's the next big step for you guys? Elliot Darvick: I think it's going to be mobile. We've built from the start with mobile in mind, and even though we do a ton of planning while sitting at your desk or sitting at work, we were already thinking about how to bring it to life on a mobile design. In the meantime, we're listening to our users and building a better product every day.